I’ve actually had fun attempting self-portraits in the past, and I still enjoy trying to draw myself from time to time. The urge most recently came about a few months ago when I decided to do a quick sketch from a photo to use instead of a photo of myself as my Avitar for a class I was taking. I liked how it turned out. 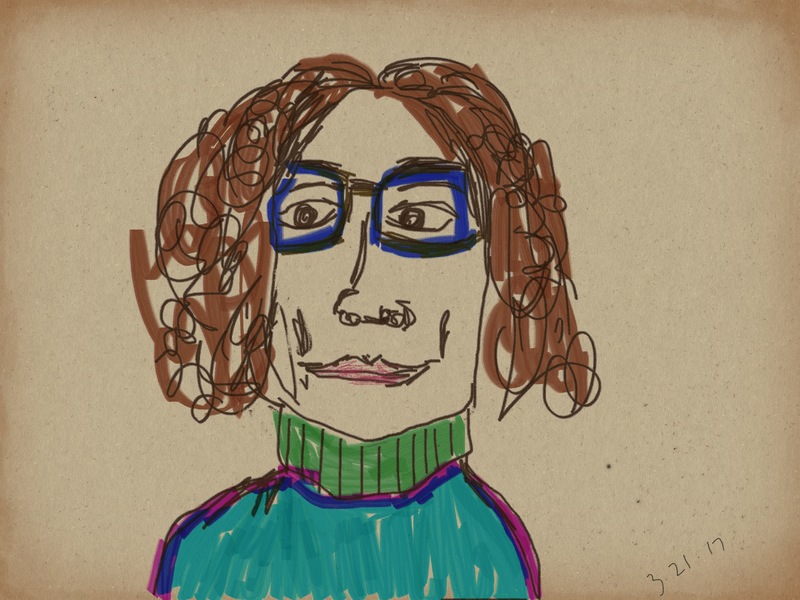 This is a recent attempt that I decided to sketch because of two new things: my perm and new glasses. The glasses are inevitable. It was time, but the cost always hurts. I’ve been wanting so much to come to the page, so I’m writing myself through it. I need to get back to my writing practice. Maybe I feel freer today because a class has ended, because the warm sunshine on my face as I walk to lunch energizes me, and because there is an end in sight to the busy season. 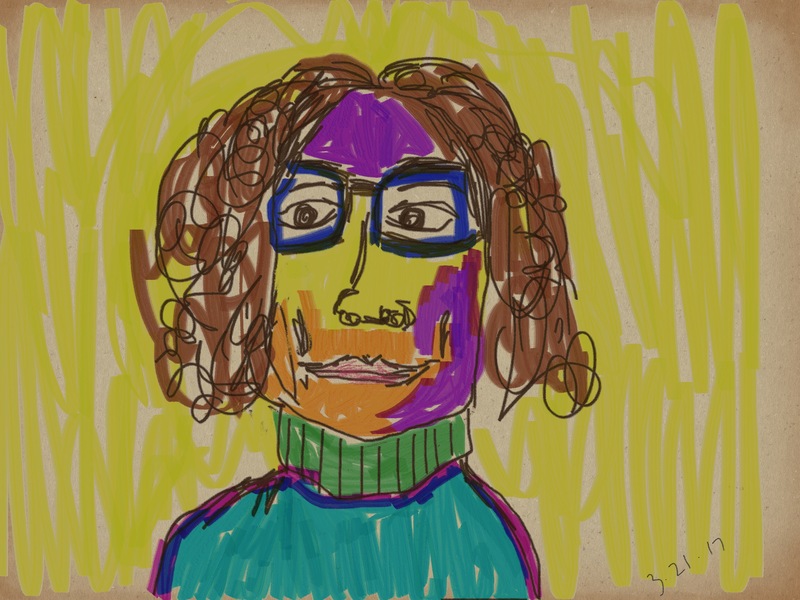 ﻿Self-portraits have a tendency to reveal something we may have not noticed about ourselves in that moment that a regular photograph may not catch. Adding the color by mood and feeling adds another element. I love the process.